So, you know when you go away somewhere special and you want to bring back souvenirs for friends and family? That indeed can get a little pricey picking up one or two here, there and everywhere. I had a few friends I was buying for and tried to keep in mind their taste and what they would like. One of the thoughtful gift ideas started with this picture. Honestly, at this point, I don’t even know in Ireland where I was when I took this. 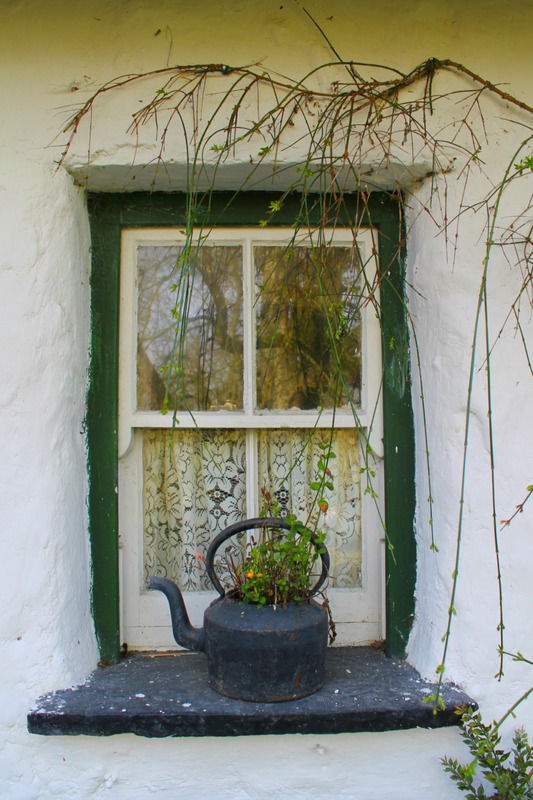 I just knew I loved it, and my friend collects tea pots. she was not getting a tea pot in a glass case. that my ROO, just got a makeover in. I tell you this guy was pretty popular the other day. This project only took a few minutes of my time. In fact, I am going back to Walmart today to buy another frame to make one for myself. You know, one for you, one for me type of deal. I am all about burlap projects as you know. One more thing I want to share for today is the easiest cake recipe you will ever have. And let me tell you it is so delish. 1 box of Angel food cake. You do not add anything else to the cake mix but the crushed pineapple. So pretty! And look at you using this season’s color of the year!! That frame would easily cost $20 in the store! Love how you did this. I am going to remember this for Mother’s Day! What a nice gift, Debbie! I love the picture you took! What a lovely reminder of your trip, too. You definitely need one for yourself! It is so pretty, Debbie! 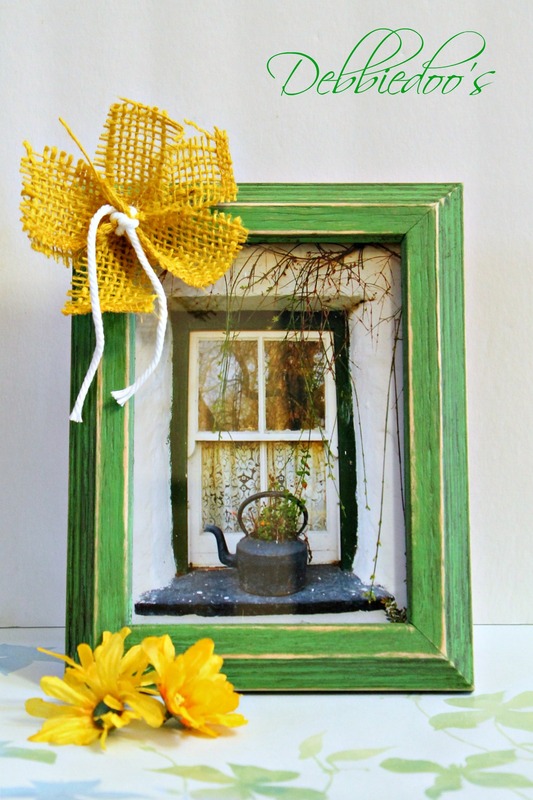 I just love the color, and the yellow burlap is the perfect touch! This is a true gift from the heart! That photo looks just fab in the frame. Bravo to you! I love that photo and it looks great framed. I am sure she will love it. What a wonderful gift Debbie! Your friend is sure to love this!!! Who wouldn’t? That is SO thoughtful and BEAUTIFUL! Way better than a teapot in a glass case!!! That’s a gorgeous photo you took and I’m sure your friend is going to love it! Great job I love it and the picture is beautiful…..very thoughtfu and lovely. Ahhh I love the picture in the frame! Just perfect! That print is gorgeous…and you framed it perfectly! I love the green. Sweet!!! You now I want that cake now, right? that framed photo is beautiful! Perfect frame! Oh wow that cake sounds good! Probably very low in calories/points too!! 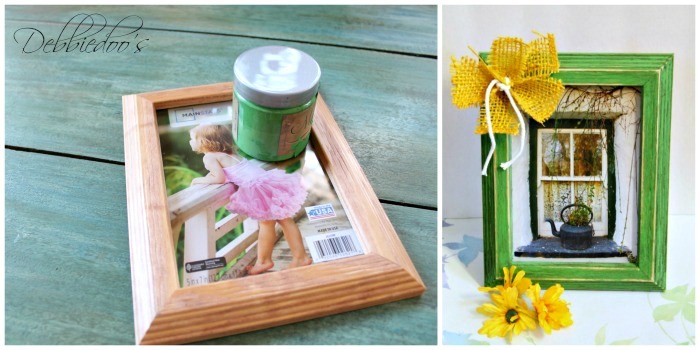 What a cute idea for a gift. 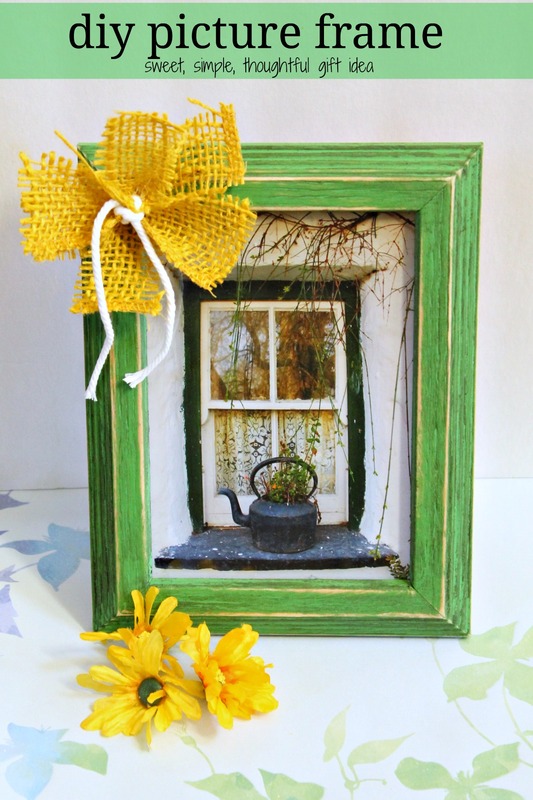 I love that burlap flower on the frame! That picture & frame are so beautiful! I love them, have to find something like that I can do. Wow. Such a pretty alternative to the real thing. I love the burlap accent bow. Great picture and frame, Debbie! 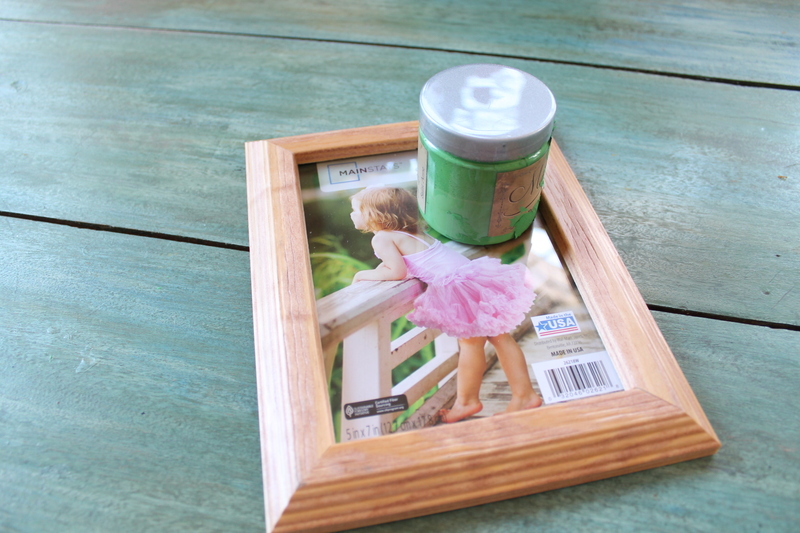 The picture in that beautiful picture frame is the perfect gift for your friend…she will love it!! 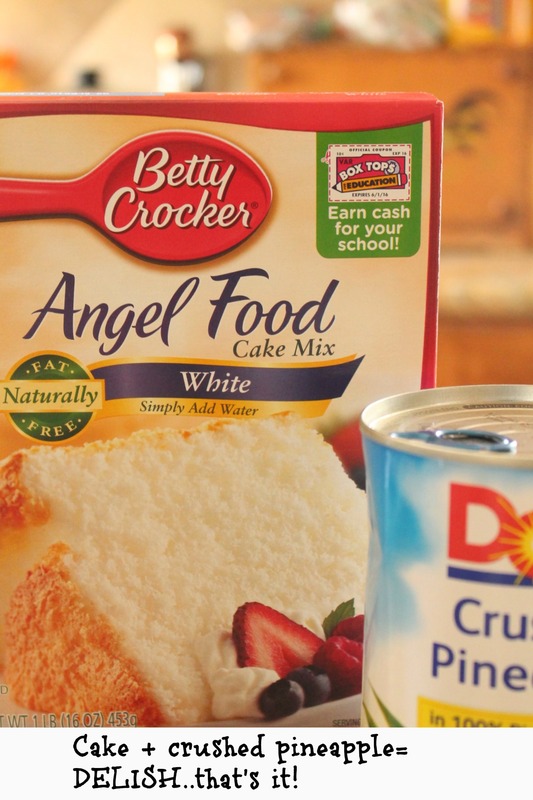 And I love pineapple and I love angel food cake, so that is a winning combination for me!…Thanks!! The picture turned out perfect Debbie, and I think it was a better choice than the teapot anyway. Great idea! That is the greatest idea! I love that you took a picture of something so special and unique to that area and are framing it and gifting it to someone special. 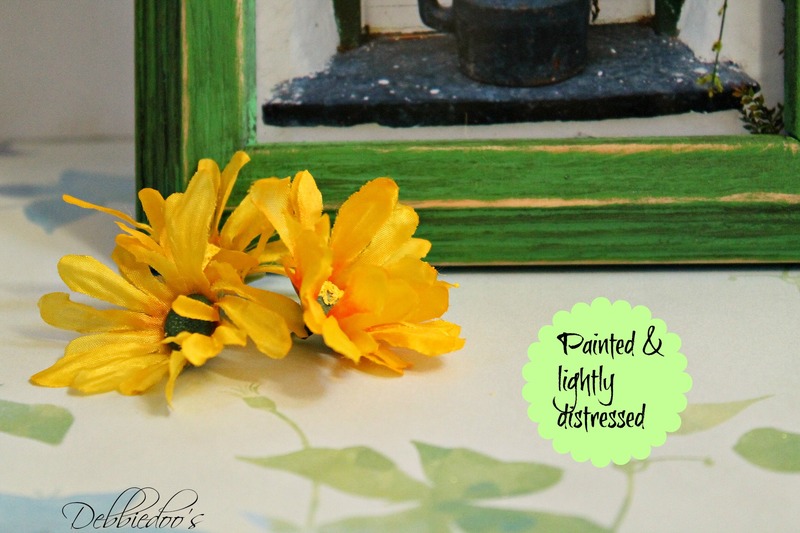 The green paint you used on the frame is perfect for it too. The cake recipe looks good too. I love cake and I love easy so it’s a winner in my book. Angel food cake is delicious anytime. First off I adore that picture. Second, the fact that you gave a friend a picture you took yourself, of something she liked, is so sweet. Green was really the only choice for that frame too! I loved this post. Pinning the frame and the cake recipe! You are so clever and this is a beautiful gift…she will love it! I think that is a fantastic way to bring back souvenirs. Thoughtful too. I’m going to try that if I ever get to vacation again. Thanks everyone…my friend really did LOVE it! What an excellent gift idea! Thoughtful gifts are the best. I LOVE that photo, and the green frame really brings it to life. 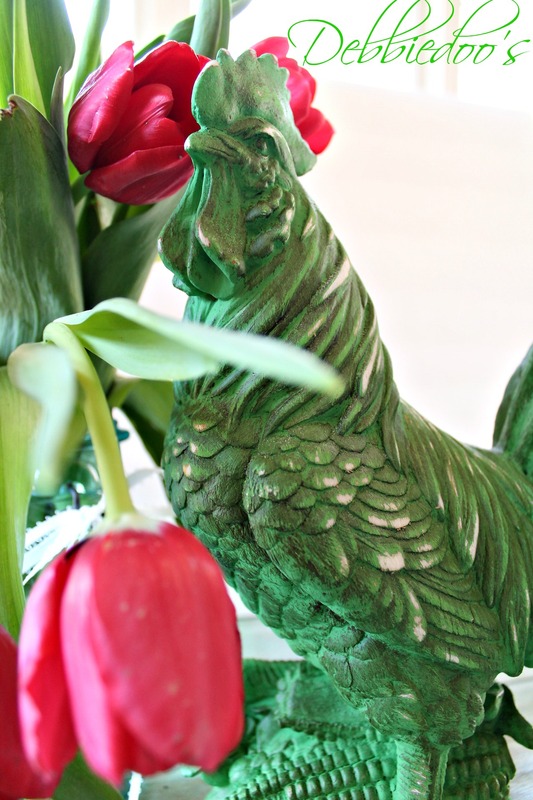 That is a fantastic green and what a thoughtful gift for your friend! And you know I love that cake recipe – can’t wait to try it! I love the idea. I learned long ago that a photo is the best souvenir. The other stuff often just gets put in a trunk somewhere. The frame is pretty too. And I will DEFINITELY be trying that cake. Maybe this weekend. Drain the pineapple first? And I love the picture!!! Great picture! Nooooooo…do not drain the pineapple, can juice and all! How awesome is this frame. So cute and pineapple cake – yes, please. That is gorgeous. I have a whole box of frames that need a makeover and I’ve yet come up with an idea. I love how simple your flower is while still have great texture and a little on the “rustic” side. 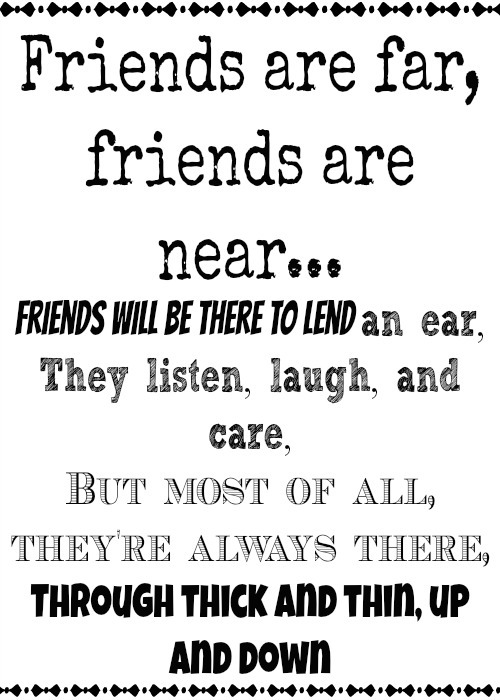 I’d love to be in your friend’s shoes 🙂 Have a wonderful evening Debbie! 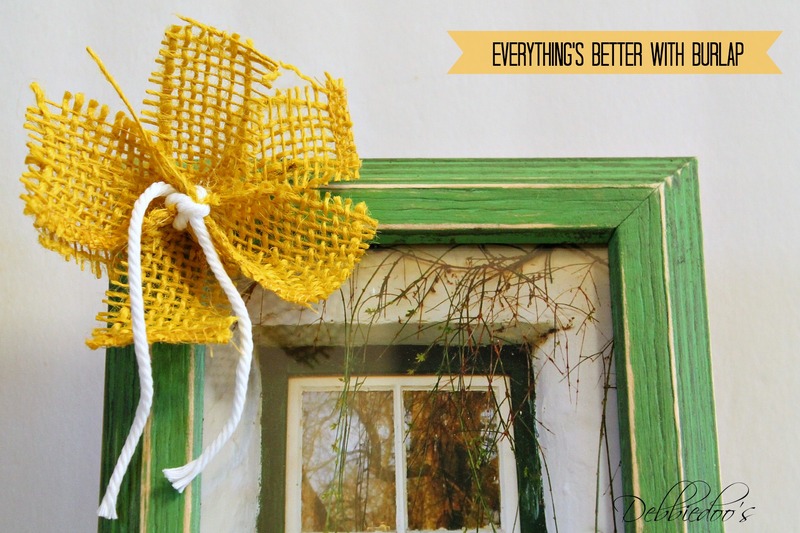 How did you put together the burlap bow?